Manufacturer & Trader of Hot Case & Food Warmer Hot Case. 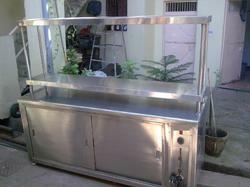 Our product range also comprises of Barbeque Grill, Refrigeration Equipment and Cooking Equipment. Leveraging on our in-house production unit, we are presenting a wide assortment of Food Warmer Hot Case. This food warmer finds wide application use in eateries, restaurants, hotels, commercial kitchen and food stalls. This food warmer is manufactured adhering to industry norms. Stainless steel alloy and corrosion resistance parts offer better cooking experience with safety assurance. 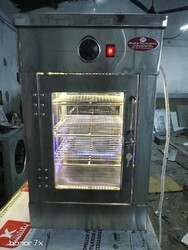 Furthermore, this food warmer is tested on various quality parameters to ensure optimum performance of the food warmer. 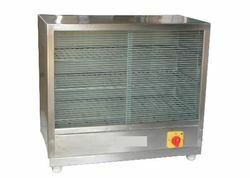 Besides, clients can get the food warmer from us at industry leading prices. Since our beginning, we are engaged in presenting a wide range of excellent quality Hot Case. This case finds wide application use in eateries, restaurants, hotels, commercial kitchen and food stalls. This case is manufactured under the stern guidance of skilled professionals who use stainless steel materials and approved components. Further, they adhere to international industry standards while manufacturing the case. Besides, clients can get the case customized according to the specifications meeting their business needs. Looking for Hot Case ?